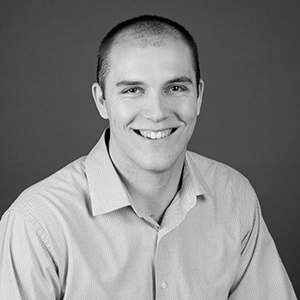 David Linton is a project engineer in Mackenzie's structural group. He has worked on a range of high tech, retail, and industrial projects at the firm, including a critical role on the Intel MSB1 project. For a previous employer, he designed the granite façade on the City Creek Center in Salt Lake City. David has had articles related to how wood-framed structures function under the impact of a tsunami published in the Journal of Structural Engineering ("Evaluation of Tsunami Loads on Wood Frame Walls at Full Scale") and the Journal of Performance of Constructed Facilities ("Load Distribution in Light-Frame Wood Buildings under Experimentally Simulated Tsunami Loads"). He is involved with Mackenzie's Summer Picnic committee, Winter Party committee, and Leadership Development Group. "I am inspired to provide structural designs that are functional, cost-effective, and innovative by working collaboratively with other disciplines." Spending time in the wilderness camping, hunting, and fishing. being a respected member of your profession whom others come to for advice and help.